Canine pancreatitis often rears its ugly head during the holidays when dog owners treat their dogs to the rich and delightful goodies left over from holiday dinners. In fact, while you are out shopping on Black Friday, many dogs will end up visiting veterinary clinics with severe symptoms of pancreatitis. If your dog has an acute pancreatitis attack, she will need to see your vet immediately, as it is a medical emergency. Dogs simply can’t handle foods rich in fats, and some dog breeds are very vulnerable to the effects of eating the wrong foods. Your dog’s pancreas is located in her abdomen, close to the small intestines and her liver. The pancreas is responsible for producing digestive enzymes that break down fats and food into small usable particles that can be absorbed into the small intestine. The pancreas also produces the hormones insulin and glucagon, which regulate your dog’s blood sugar. Normally, the body has checks and balances that keep the digestive enzymes produced by the pancreas, from harming the pancreas. However, when the pancreas has had some kind of insult or injury, the pancreatic enzymes actually start to digest the pancreas itself and they cause inflammation and injury in a dog’s pancreas. Pancreatitis is an inflammation of the pancreas. Somehow the pancreas is damaged, and it turns on itself. Your dog’s pancreas is located in her abdomen, on the right side, under her rib. When inflamed, it is painful to the touch. 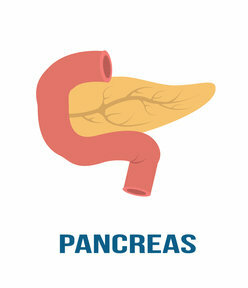 Chemical changes in the pancreas actually start to digest the pancreatic tissues. This leads to inflammation of the pancreas and disruption of the blood supply. When the pancreas has been injured, it is more vulnerable to bacterial infections that travel up the pancreatic duct from the intestines. The infections can become systemic and travel throughout the dog’s body through the blood, infecting other parts of the body. This can be sudden and acute, or it can be a slow process over time, chronic pancreatitis. When the pancreas is inflamed, your dog will usually start to have symptoms. Pain and swelling in the pancreas can be very painful. Sometimes, though, when canine pancreatitis is chronic or long-term, your dog may not show symptoms for quite a while. Even though the pancreas is no longer working well, you may not know until your dog has an acute crisis. More on that below. We see dog pancreatitis in some breeds more than others. Dogs that have high energy and are smaller, seem to be especially prone to getting pancreatitis. Even though these dog breeds are the most at risk for pancreatitis, other dogs can develop it. So it is best to take precautions to prevent it, and make sure that your dog has a healthy diet. In addition to the breed of dog that you have, there are other risk factors that could make your dog more likely to have pancreatitis. Weight – If your dog is overweight, she is more at risk. Table foods – Eating large amounts of table scraps is another factor that is believed to be a cause of pancreatitis. High fat diet – Dog food with a high fat content can lead to high triglycerides (hyperlipidemia) or high cholesterol. Even if your dog does not eat a high fat dog food routinely, a large amount of fatty food eaten all at once, can cause an attack. 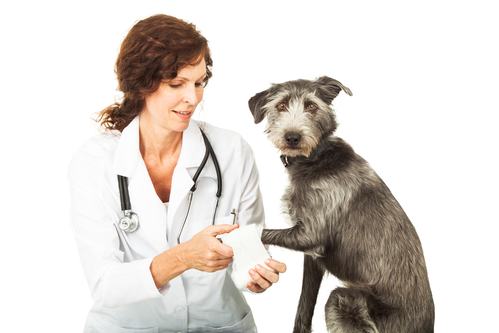 Diabetes – Canine pancreatitis and diabetes mellitus seem to go hand in hand. Medications – side effects. Drugs can affect the enzymes and hormones in the body, upsetting the balance needed for a healthy body. Exposure to chemicals in the environment – especially organophosphate based insecticides. Genetics – Some dog breeds are especially prone to getting pancreatitis. For example, the miniature schnauzer is so susceptible that the breed has been the subject of numerous studies into canine pancreatitis. In older dogs, we can see pancreatitis because of a tumor, intestinal obstruction or even an infectious disease. So there are many possible causes, making it very difficult for you or the vet to know if your dog is at risk. Pancreatitis in dogs is seen in two forms, acute and chronic. Either can be serious or deadly, so this is one disorder that should never be ignored! Vets often see dogs with acute pancreatitis around the holidays. Well-meaning pet parents give their dogs a treat—turkey (especially with skin) or other high fat delights from their own holiday dinners. A large amount of fat or grease can trigger an acute attack of pancreatitis. Unknown to the dog’s owners, a dog may find his own holiday treat in the garbage. Feasting on non-foods or food that is full of bacteria, can wreak havoc with your dog’s digestive system. When a dog has an attack of acute pancreatitis, it is an emergency. Symptoms appear quickly. Abdominal pain – severe pain in the abdomen on the right side, just behind the rib cage. To try to relieve the pain, your dog may adopt a “praying” position. The dog places his elbows on the ground, with his hind end elevated and his back arched, trying to get rid of the pain. 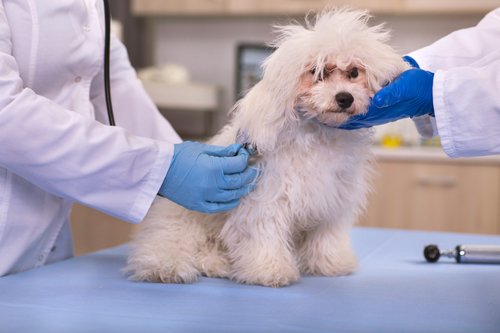 If your dog has an acute pancreatitis attack, it is important to see your vet immediately. If the attack is severe, your dog can go into shock or can die without medical attention. Unfortunately death from shock and multiple organ failure due to acute pancreatitis, is common. Dogs that recover usually will be better in a few days or within a week. If your dog has had acute pancreatitis, you can expect that she will have repeat attacks, from time to time. When a dog has had acute pancreatitis, he will usually develop chronic or long-term pancreatitis. Unfortunately, if your dog continues to have attacks, each attack will be more severe than the last. But your dog doesn’t need to have an acute attack to have chronic pancreatitis. Most cases of dog pancreatitis are chronic. Chronic pancreatitis develops more slowly. In many cases, dog owners do not know that there is a problem until their dog becomes excessively thirsty because of diabetes mellitus or has diarrhea because of exocrine pancreatic insufficiency. Loss of appetite – may not eat some meals. This is especially important if your dog normally has a good appetite. Vomiting – If it continues, your dog can become dehydrated. Your vet may recommend resting the pancreas by restricting food for a day or two. Odd looking poop – Your dog’s feces looks yellowish and greasy. This is because fats are not being digested properly. Your dog assumes a new position when lying down – If she has pain in her abdomen, she may lie down on her side, trying to find a position that feels better. By the time many pet owners realize that their dog has chronic pancreatitis, almost all of the pancreatic tissues have been destroyed or lost. If you have a dog breed that is susceptible to this condition, do stay alert to the symptoms listed above for acute pancreatitis. With chronic pancreatitis, you may see the same symptoms, but they will develop slowly, over a longer period of time. If you see digestive symptoms, do make sure that your vet is made aware of them. Even if you have a dog that is more likely to get pancreatitis, you may never see a problem. Even in dog breeds that are high risk, most dogs don’t develop and issues. Exercise – Make sure your dog gets plenty of exercise. 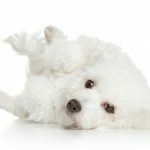 With small dogs like Bichons, we sometimes forget that they need exercise, too. Weight – Keep your dog’s weight in check. Dogs within normal weight limits for their breed, are less likely to have pancreatitis. Pancreatic enzyme supplement – This can really help support your dog’s weak pancreas. Some pet owners have had great results with Pantenex at Amazon. Recommended by some vets because it reduces the stress on the pancreas. Pancreatic support – An herbal product like this one from Pet Alive can help keep the pancreas working properly. Medicine for vomiting – I just like to use a little canned pumpkin. It’s good for both vomiting and diarrhea. Fish oil supplement – Studies suggest that the fatty acids in fish oils reduce the triglycerides and cholesterol in your dog’s blood. Salmon oil is a good source of fatty acids for dogs. Hill’s Digestive Care Diet – This is an excellent choice with healthy fatty acids for healing, a maximum of 9% crude fat, prebiotics to increase healthy intestinal bacteria, and ginger, which is soothing for the intestinal tract. This is dry dog food. Hill’s Low Fat Canned Dog Food – For dogs that have periodontal problems or that need soft dog food, this could fit the bill. Like the Hill’s Digestive Care food above, this one is also made with pancreatitis and diabetes in mind. Maximum crude fat is 3.5%. Wellness Core Natural Grain Free Dry Dog Food – This dog food has a maximum of 12%, a bit more than recommended for dogs with pancreatitis. It contains healthy fatty acids, prebiotics and probiotics and fiber, all good for dogs with pancreatitis. Prescription dog foods or those made just for dogs with pancreatitis or diabetes tend to be expensive. If you purchase from Amazon, you may be able to take advantage of their Subscribe and Save program to save an additional 5-10%. While it is disheartening to discover that your dog has developed pancreatitis, there are ways to avoid acute attacks and keep the progression of the disease slow. However, you will need to be vigilant and make sure that your dog gets attention if he has an acute attack of pancreatitis. 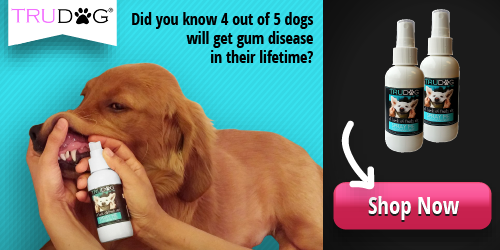 And, keep in mind that, as your dog ages, the disease does continue to get progressively worse.